Motorola disrupted the smartphone market with their affordable offering, Moto G in late 2013. Then Moto X was introduced which certainly was their flagship device. 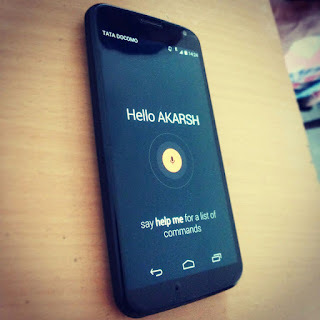 Moto X(2013) was unique as it had X8 computing system in-built, which means a System comprised of Snapdragon S4Pro processor (1.7GHz Dual-Core Krait CPU, Quad-Core Adreno 320 GPU), a natural language processor(Ok Moto detection) and a contextual computing processor(Moto display.etc). So even at Dual core chipset, Moto X(2013) was capable of doing a lot than imagined due to X8 computing mechanism (in short 8-cores). Over the course Moto G & X have received design & hardware refreshes, Just this week Motorola announced Moto G(2015) & Moto X family comprised of Moto X style, Moto X pure & Moto X play. Let's find out more about the higher end of the all mentioned above, the Moto X Style. It has a Motorola Mobile Computing System comprised of 1.8Ghz Hexa-core Snapdragon 808 MSM8992 Chipset (Dual-core 1.8 GHz Cortex-A57 & quad-core 1.44 GHz Cortex-A53), Natural Language Processor & Contextual Computing Processor coupled with Adreno 418 GPU & 3 GB RAM. It has a 5.7 inch(1440 x 2560 resolution) display panel protected by Corning Gorilla Glass 3, with a massive 520 ppi pixel density. Quicknote: The display has 74.9% screen-to-body ratio, while the phone is not bigger than Iphone 6 Plus or Nexus 6. Those edge to edge bezels give it a more fascinating feel. Internal storage goes like 16/32/64 GB & all of these various capacity options can be expanded via MicroSD card up to 128 GB. It has a 21 MP Primary camera with phase detection autofocus & dual-LED CCT(colour Correlated temperature) flash. It is capable of recording some crispy 4K video(2160p@30fps, 1080p@60fps). While the Secondary camera is a 5 MP equipped with LED flash, Yes Front Facing Flash ! Snapshot: Motorola claims that they've revamped the camera module & added many enhancements which will produce better picture, capture more light & true to life photos. Also Dx0mark rated Moto X style as one of the top 3 smartphone cameras in the world. Check their full review here. It has WiFi 802.11 a/b/g/n/ac dual-band(MIMO) support, Bluetooth v4.1, A-GPS, GLONASS & Yes, NFC ! Spoiler : NFC is noticed more unusually because it was skipped from Oneplus 2, people should know that Android Pay can still be achieved via In-App purchases on Oneplus 2. It's equipped with a 3000 mAh Non-removable battery. It runs on Android Lollipop 5.1.1 & Since, Motorola it's close to stock android experience & count in fast device updates (Android M). Moto X style/pure edition is now IP52 certified(Water repellant nano-coating) & is 179 gms in weight. Fast charging Support : 34%(10 hrs) in 15 mins. It's even faster than Samsung's quick charging present in Galaxy S6/S6 edge. Well the phone looks gorgeous, there’s even an addition of a single metal strip just like it is been adopted on Moto G(2015). Moto Maker continues it's mark up ahead with more customisations including that strip colour (Available in US only, extending to Brazil). While Moto X Pure (unlocked) is available in Black lens/Dark Gray Frame and accents/ Black Soft Feel Inlay White lens/Silver Frame and accents/Bambmotor Colours worldwide. Camera Software has been updated with exposure adjustments added in that focus ring as a slider. While Dx0mark claims this phone as one of the top 3 smartphone cameras in the world, so check out that post before judging the camera department. You can do a simple chop chop gesture, when the device is asleep to trigger on Flashlight. while a general twist of wrist motion will open up Camera, while repeating the same gesture twice will open up the front camera, which was available already. Active display is here as always. Confused between Moto X style & Moto X pure, thing ? Well Moto X Style is what you read up until now, it is going to be available worldwide. 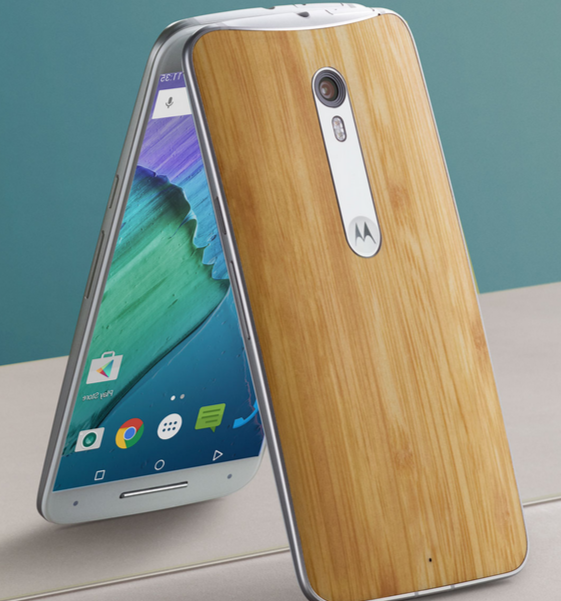 While the same phone renamed as " Moto X Pure " edition will be exclusive to US only. Keep in mind both phones have same specs. Moto X pure will be in US, while Moto X style will be available worldwide. Moto X Style will be available in countries across Europe and Latin America starting in September. While Moto X Style will be available as a Pure Edition in the US starting in September. Also See : Oneplus 2 : Review, everything explained !